Listen to My Voice and Lift Your Voice in Praise | God's Abundant Blessings! 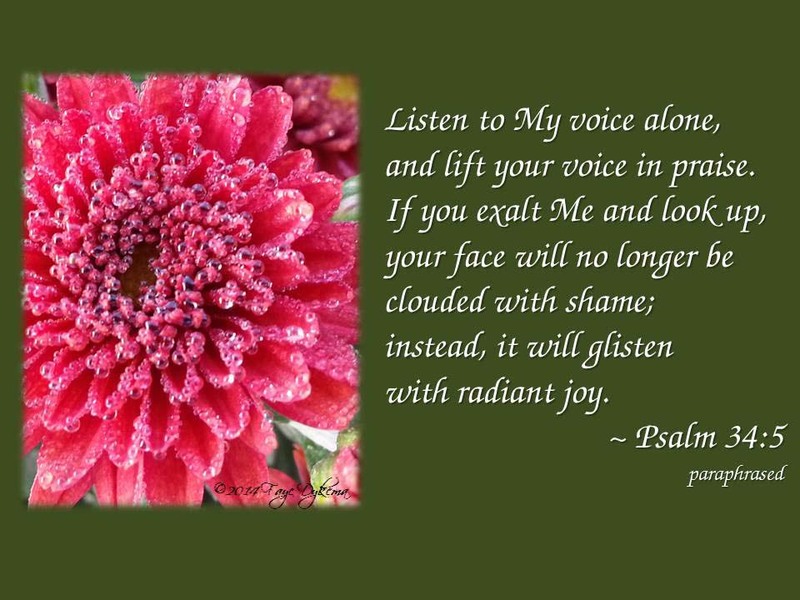 Posted on September 13, 2014, in Coram Deo - Before the Face of God, God's Blessings, Hope, Meditating on God's Word, Praising God, Psalms and tagged 30-Day Praise Challenge, ;, hope, Joy in Despair, Psalm 34:5. Bookmark the permalink. Leave a comment.